A term loan is a loan from a bank for a specific amount that has a specified repayment schedule and a fixed or floating interest rate. For example, i you’re looking to borrow a large sum of money and have a property on hand, you may be able to “cash out” the property’s value by taking a term loan or an home equity loan. Many banks have term loan programs that can offer small businesses the cash they need to operate from month to month. Term loans are very useful for small businesses to purchase fixed assets such as equipment for its production process. Term Loan is not the most accessible option for everyone in the market, and approval is highly conditional upon the bank, but it is possible. Whether you call it a term loan, a home equity loan or an equity term loan, they all mean the same thing. A term loan lets you borrow money, while using your house as collateral. Term loan is another option available to homeowners who may have a tight cash situation but have have a valuable house at their disposal, which they may sell and downgrade. But a home equity loan lets you get money out of your house, without having to lose it. If your property has increased in value over time, you may take a term loan by using the equity of your property as collateral and at a relatively low interest rate. The term loan extended against your property means that its equity becomes collateral. There are plenty of advantages of taking a term loan by using your house is the collateral. For example, the bank feels a lot more secure knowing you can’t exactly pack up your house and run away with it. Because there’s something they can foreclose on, banks consider term loans to be low-risk, secured loans. That means banks charge a super-low interest rate, seldom above 1.3 per cent per annum. For reference, that’s less than a third of your CPF Ordinary Account rate (up to 3.5 per cent per annum), and about 1/6th of a personal loan rate (about six per cent per annum). 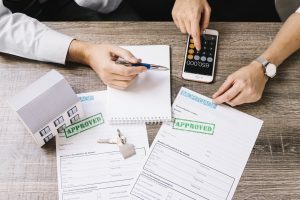 That super-low interest rate means home equity loans are quite cheap, and can provide a much bigger loan than you’d get through, say, a personal installment loan. Most other, unsecured loans can only lend you up to four times your monthly salary. On top of this, the government in 2017, made regulatory changes to term loan restrictions. If your house is already paid up, you can borrow up to half its value, without having to meet Total Debt Servicing Ratio (TDSR) restrictions. Suppose you have purchased a property in 2010 for $650,000. Loan was 80% = $520,000 amortized over 30 years. In 2018, a new valuation was done and the property is worth $1 million. The current loan amount is $440,000. If this property loan is the only one you have in Singapore, then you may qualify for 80% lending on valuation, which is $800,000. Together with the outstanding loan, the total debt on the property now would be $640,000. As a high number of applications for SME loans are unsuccessful, it is important for passionate business-owners to consider term loans to grow and sustain their business operations. It is also important for them to work with trusted hands, and with people who know the industry. One recent research report said that up to 81 per cent of SMEs in Singapore do not qualify for business financing. Many applications for bank loans are delayed or rejected because business owners are not familiar with the qualifications for the loans or of how to apply for such loans. Access to crucial credit facility is often hindered by the lack the relevant financial knowledge and / or the resources to engage professional business consultancy services to manage and address their obligations and financial liabilities as business owners. The terrain to apply and qualify for loans is also uneven because creditors are not just banks but finance companies and other licensed lending entities whose security arrangements may be different or more complicated.